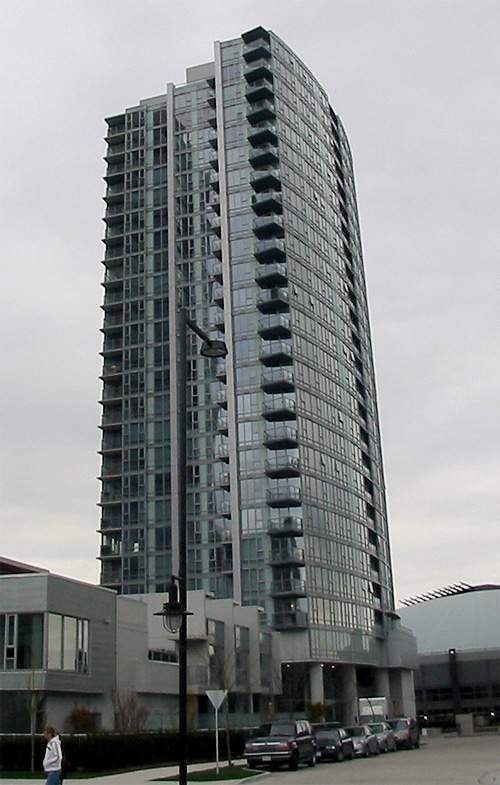 Spectrum 4 at 602 Citadel Parade was built by Concord Pacific. Located close to GM Place, Costco, Central Library, movie theatre, skytrain and library. The building amenities include 24-hour concierge, full length pool, sauna/steam room, gym and movie theatre. Some units have views of North Shore Mountains, False Creek, Burrard Inlet, Coal Harbour and city. The complex features 245 units with 226 units at 602 Citadel Parade and 8 townhouse units at 622-650 Citadel Parade, 8 townhouse units at 110-150 Dunsmuir and 3 townhouse units at 133-139 Regiment.